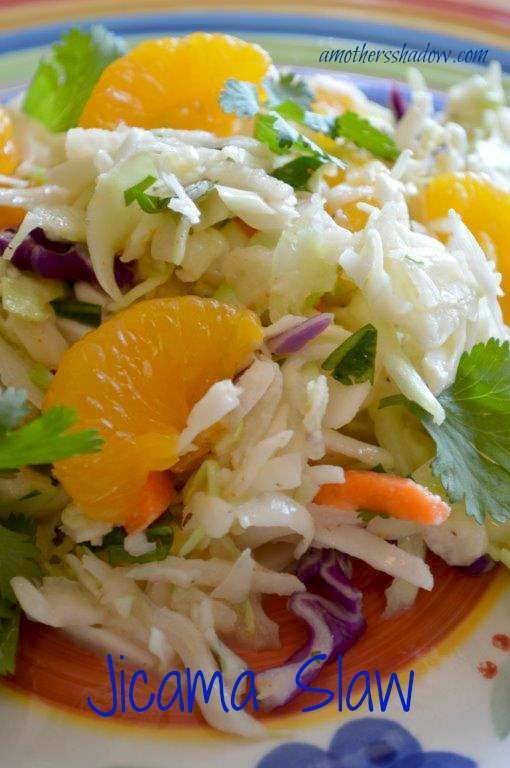 This Cabbage and Jicama Slaw is NOT you’re average slaw baby! I created a perfect side for your Mexican inspired meals. This one is light, refreshing and so flavorful. Have you had Jicama before? Oh, it adds a wonderful earthy, sweet taste and it’s crunchy fabulous. Then I added in just enough cilantro to brighten the entire dish. It’s a terrific twist on OLE! 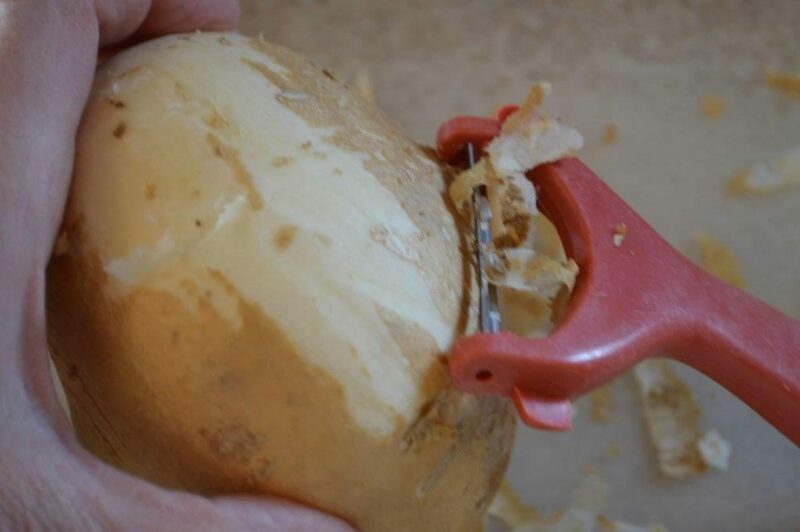 Peel skin off the jicama with a vegetable peeler. 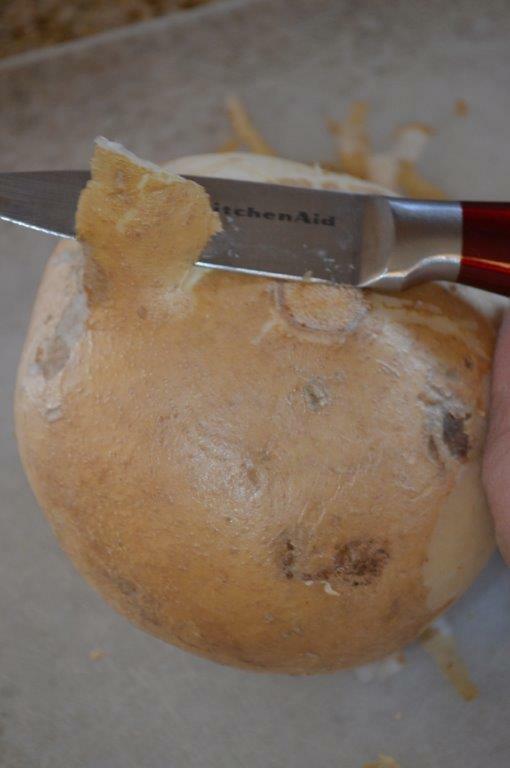 Or with a knife, careful to get just the outer top layer. 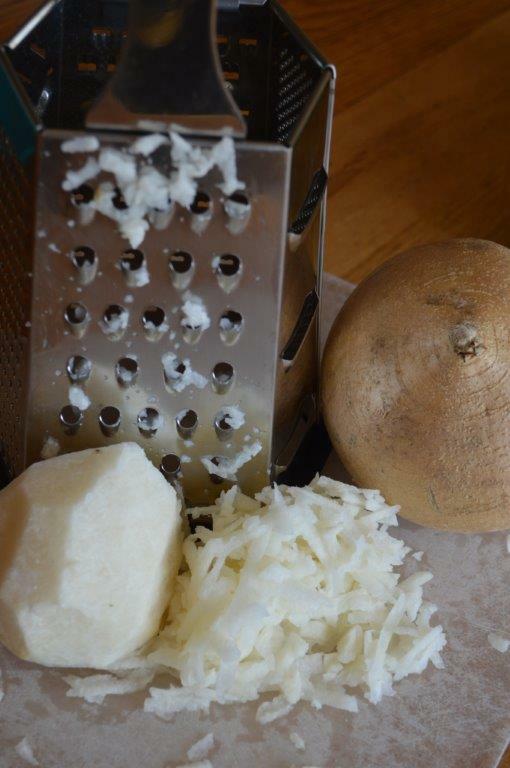 Grate the peeled jicama using the largest holes on the grater; set aside. 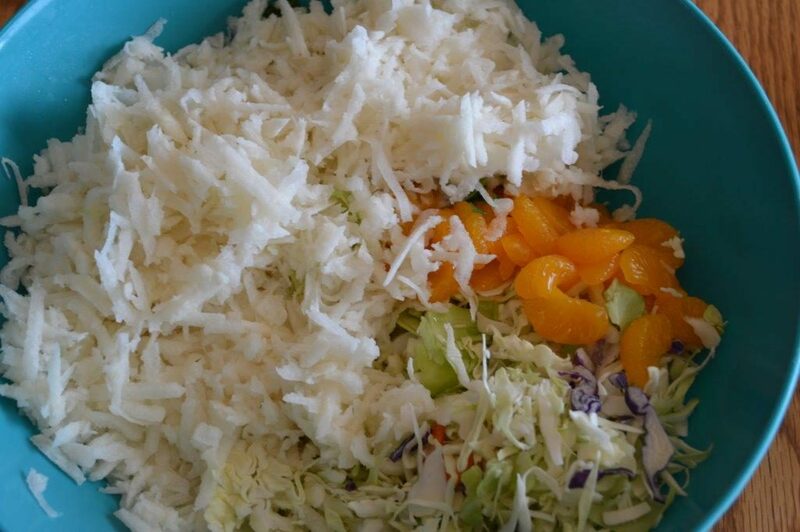 In a large bowl, add the coleslaw, jicama and the drained mandarin oranges. In a small bowl, whisk together reserved 2 Tbl. of the Mandarin juice, mayonnaise, vinegar, fajita seasoning, pepper and salt to taste. 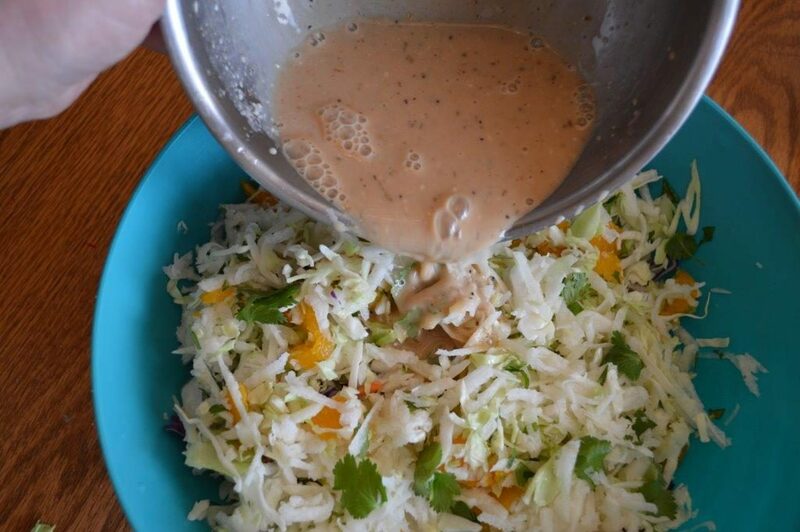 Pour the dressing over the jicama mixture. Toss to mix thoroughly and top with cilantro. Add more Mandarin orange juice ONLY if needed. Mix well. Keep in refrigerator until ready to serve. If there is excess liquid, simply strain it off; absolutely delish!